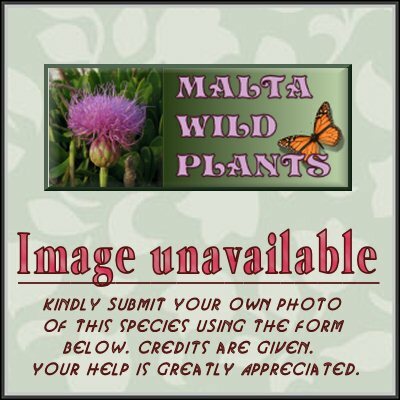 ﻿ Phillyrea latifolia (Mock Privet) : MaltaWildPlants.com - the online Flora of the Maltese Islands. Shrub or small tree up to 15 m, with subfastigiate branches while young, later spreading; bark grey, smooth, becoming finely reticulate; twigs, buds and petioles puberulent-tomentose. Leaves dimorphic; juvenile leaves 20-70 × 10-40 mm, ovate-cordate to ovate-lanceolate, rarely lanceolate, more or less dentate or serrate; adult leaves 10-60 × 4-20 mm, lanceolate to elliptical, entire or finely serrulate; lateral veins 7-11 pairs, close, usually distinct, making a wide angle with the midrib, sinuous, clearly forked distally. Calyx thin, yellowish, lobed to 3/4 of its length; lobes triangular. stigma elongate, with acute lobes. Drupe 7-10 mm, globose; style caducous.